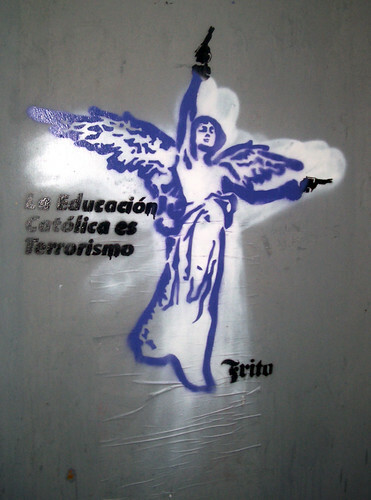 Educación Católica, originally uploaded by alister. I'll be posting a few pics from my trip to the Euskal Herria. This graf was from a wall in the old town. I don't imagine it is a reference to the first teenage fanclub album.